Can You Enter Canada to Fish with a DUI? Over 3 million people per year visit Canada to go fishing, and the country is an excellent, exciting, and relaxing place to enjoy the wonderful sport of fishing. More than 200 different species of fish thrive in the many lakes and rivers north of the border, and Canadian fishing trips are extremely popular amongst outdoorsmen from across the United States. If you have ever been arrested or convicted of a DUI, however, you may be considered criminally inadmissible to Canada and denied entry at the border. Other criminal arrests and convictions, such as assault, theft, drug possession, or domestic violence, can also result in issues entering Canada. A single DUI, DWI, DWAI, OVI, OWI, or even wet reckless driving charge can be enough to render a person ineligible to travel to Canada unless they have obtained special permission. Impaired driving is a serious crime in Canada punishable by up to ten years in jail. As a result, just one conviction on your record can make you ineligible for entry into Canada even decades later unless given special permission to cross the border. 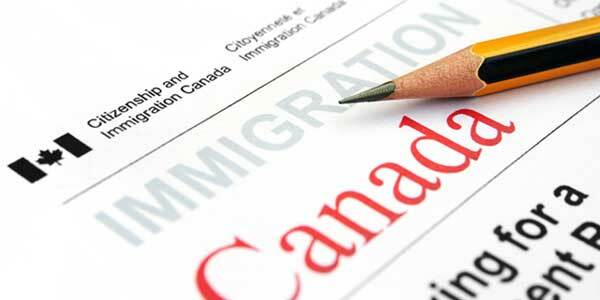 This permission comes in the form of a Temporary Resident Permit as well as Canada Criminal Rehab. A Temporary Resident Permit, or TRP for short, is a document that can permit a criminally inadmissible foreign national to enter the country for a limited duration provided they have a legitimate reason to do so. A single entry 2-week long TRP could enable a person to travel to Canada for a fishing trip. Technically, a multi-entry TRP with a validity of up to three years could be requested, but realistically these longer waivers are almost never issued for leisure travel alone. Criminal Rehabilitation is a permanent solution, and can enable a person to travel to Canada for fishing trips for the rest of their life without worrying that their drunk driving conviction will get in the way. Canadian Criminal Rehabilitation can take a year to be granted, however, and is only available five years after a person has completed their full sentence including probation. Have a DUI and want to go on a fishing vacation in Canada? Contact us now for a free evaluation. Thanks to ice fishing, it is possible to go on fishing trips to Canada year round. Most Americans that travel to Canada to go fishing go after salmon, trout, pike, and walleye. While it is easy to get a Canadian fishing license or permit (if you are going with a guide he or she will be able to take care of this for you), getting permission to enter Canada with DUI appearing on your criminal record can be more difficult. Our Canadian immigration lawyer has extensive experience helping Americans cross the border into Canada with a drinking and driving offense on their record. We have even helped people enter Canada after they have booked non-refundable accommodation at a fishing lodge and would have lost money if not permitted entry. Some of the best places to go fishing in Canada are Great Slave Lake, Polar Bear Provincial Park, Big River, Tobin Lake, Kispiox River, North Lake, Bay of Quinte, Jasper National Park, Crow Lake, and Tree River. Each of these fishing destinations has low pollution, huge fish, and beautiful scenery. Overall, the most popular provinces amongst foreign fishing tourists are British Columbia, Northwest Territories, Manitoba, Ontario, Quebec, New Brunswick, and Newfoundland. Foreign nationals traveling to Canada on fishing expeditions are a major tourist demographic with a significant economic impact to the country. High-end fishing lodges and fishing resorts are very expensive, and since economic considerations are factored in when requesting a Temporary Resident Permit the total cost of your trip can play a role in the adjudication process. Residents of northern states such as Washington, Montana, North Dakota, Minnesota, Wisconsin, and New York make up a significant portion of foreign fishing tourists, as does California, Texas, and Florida. Planning a fishing expedition to Canada but have a DUI? Contact us today.